Tegra 2 seems to be the hottest thing in Android town - the Motorola Olympus is yet another dual-core Android that has entered the rumor mill. Apparently, there is a second Olympus too though there's not a shred of info on it. The Tegra 2 platform is becoming commonplace in rumors of upcoming high-end droid phones (like the LG Star) and tablets. It offers a dual-core CPU and can record 1080p video, so the Motorola Olympus is bound to have impressive specs. Right now however, we don't know any of them. 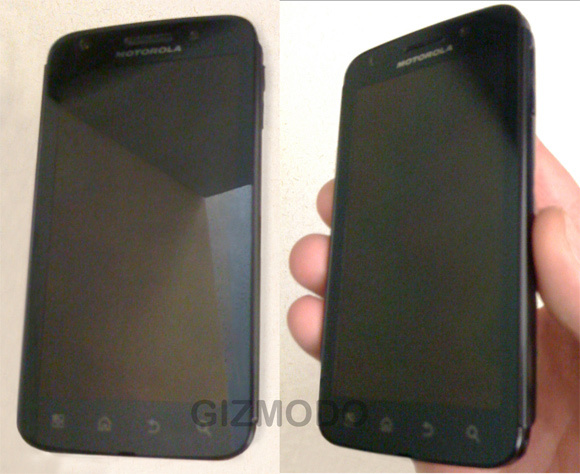 On the outside, it's similar to the Motorola Defy, but with (maybe) a bigger screen. Since the Olympus is based on a completely different platform (Tegra instead of TI OMAP) the rest of the Defy's specs don't really tell us much. There have been a few phones recently that use name brand optics (like the Lumix phone or the LG L-03C with Lumix lens) but Motorola Olympus is probably just the codename and doesn't indicate Olympus optics. Anyway, this Olympus is said to be headed to AT&T but the rumor mentions a second Olympus phone from Moto - what it is, however, is anyone's guess. It could be a non-AT&T version, a QWERTY version or it may not even exist - always take rumors with a pinch of salt. Nothing wrong with the mobile. Real attractive. Just 1 problem. Going the way moto works, it will perhaps be launched in asia only when it becomes outdated. Running out of patience waiting for milestone2.